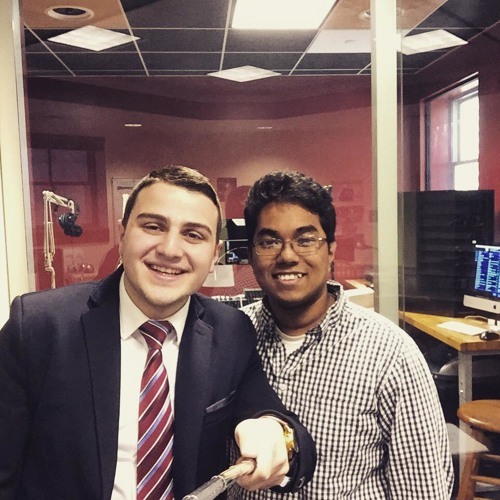 On Last Friday's show Aaron Walayat discussed his study abroad in Hon-Kong and trips to other East Asian countries. He touched upon the history of China Hon-Kong reunion and Taiwan China relations. His remarks has been very informative and engaging. Did you know that Hon-Kong still remains a special administrative region in China and Taiwan a small island in Pacific Ocean is named Republic of China? Mr. Walayat has traveled all around the world, beginning with his Magellan projects in Turkey and Spain, he reached Singapore, China, Japan, Cambodia and the countries most of us did not know existed. Aaron Walayat is an International Studies major at the Washington and Jefferson College. Veronika Bozeman "What Is Love"
We want your voice on the radio! Less than 50 days until Graduation!